Each of our bodies is unique. My own little world of a body gets turned upside down from eating processed sugars and refined flour. I am perfectly aware of that fact, but that didn’t stop me from enjoying too many of the not one, but TWO types of cornbread muffins on the Easter dinner menu. One boasted caramelized onions and bacon, while the other had orange zest and rosemary. The smell of these mini muffins would have had Jesus off his cross a day earlier asking his disciples to pass the butter. I ate them. They were tasty. But honestly I have to say, as I ate them I was thinking to myself how a cornbread pudding made in the dehydrator with marinated paper thin onion rings would have had no gluten, no sugar, no refined flours, and been totally vegan, raw and most of all it would have had an even more deliciously explosive flavor. But there was an impact of eating all the ingredients that went into those muffins, and all the Easter candies, and sampling the assortment of desserts that we all enjoyed. 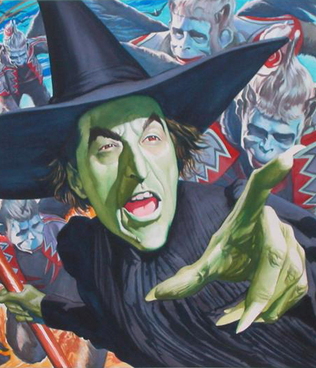 The impact was something akin to the release of the flying monkeys in the Wizzard of OZ. Besides having a belly ache, I became the wicked witch of the Pacific Northwest. My emotional responses were not proportional to the stimuli that ignited them. Luckily, I was aware of the emotional overwhelm and my disproportionate, reactive state and managed to keep to myself, sparing everyone the wrath of my winged fleet of manic primates. That is, every one except my husband. I did try to bite his head off before I figured out I was whacked out on sugar & flour crack, but thankfully he’s tough and survived the attack unharmed. Sorry Honey! Me on flour & sugar! The experience made me VERY grateful for the culinary path I am on. Aside from reaping fabulous rewards in terms of my figure, my moods and emotions have felt infinitely more balanced. Life in this centered and present state is a blissful delight.I will check into using probiotics to curb my sugar and carb cravings and report back to share my experience with you. This Easter was a bright reminder of the power I have over my life each time I choose to fuel my body. This experience reaffirms my commitment to share recipes and food preparation methods that explode with flavor so there is never any compromising taste. The foods that “feed the beast” by contributing to weight gain, disease, and imbalance can be swapped out for culinary delights that bring out the best in our whole selves. Sure we will look better, but that will be a reflection of what is going on in our inner terrain. Speaking of…I’ll perfect that cornbread pudding recipe an get it up on the site ASAP! This is so true! I would love to try your raw onion/ cornbread experiments! Please post the recipe when you try them! I will pass them on for sure. Thanks for following!